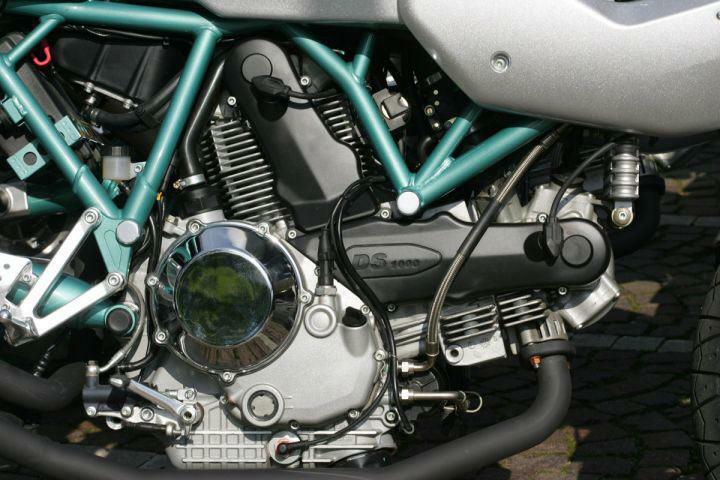 If you have come from the four-wheeled world it is easy to forget that motorcycle engines need more care and attention than car engines as they rev a lot higher with much greater power to capacity ratios. For example, you can normally expect a car to hardly need topping up between oil changes, but it’s not unusual for bikes to use a litre of oil per 1000 miles. Oil consumption is determined by a variety of factors, and the one the rider has the most control over is the running in. If it is run in too gently, the bores and pistons don't bed in very well and high oil consumption is the result. The engine doesn't smoke because the oil only gets past the pistons when the engine is working fairly hard, and because the gas temperatures are very high under these conditions, the oil is burnt and leaves very little deposits. So keep checking that oil and use the correct grade each time. What's the difference between race and road suspension?